Are you in the “minority” too? Well, I say, wear the epithet proudly. 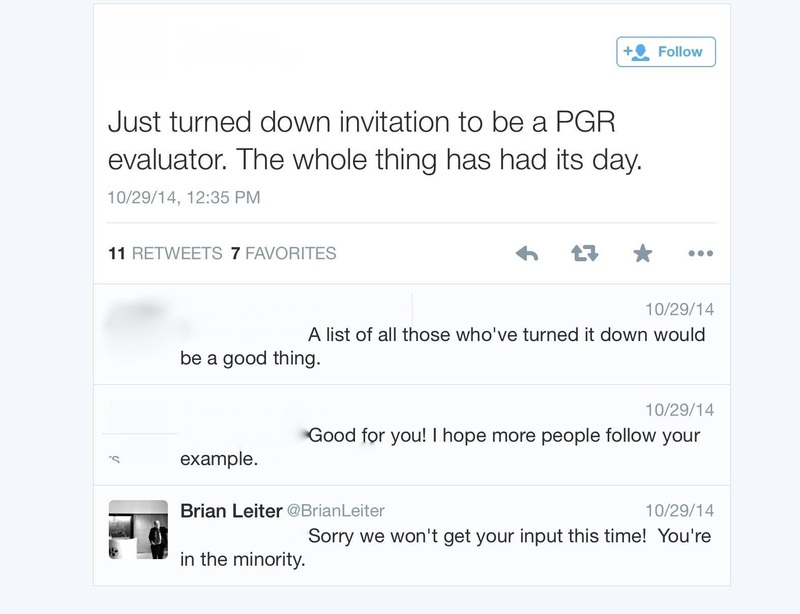 If you are an evaluator who has chosen not to participate in the PGR this year, use the hashtag #PGREvaluator and say, “I’m in the minority too.” For those not invited this year but who were in the past: “I was not invited to be in the minority this year.” Or anything else you would like to say. You can also leave word in the comments below.